Calvin Coolidge assumed the Presidency in 1923 as something of a cipher. But, by the time he left office in 1929, he was one of the most popular men in America. And, very quickly, that popularity vanished with the onset of the Great Depression. Just who was this taciturn man from New England? David Greenberg, a Rutgers University history professor and a columnist for Slate.com, does an excellent job of putting the life and times of Calvin Coolidge into perspective. Greenberg doesn’t spare Coolidge from some blame for the Great Depression. He does provide a motive for Coolidge’s policies, however. Also, Greenberg delves into the public persona of one of the first Presidents who mastered the public relations game, and was able to capitalize on a new medium that was going to transform politics: radio. Calvin Coolidge came into this world on July 4, 1872 as John Calvin Coolidge in Plymouth Notch, Vermont. His father was a farmer and store owner, and like many people in small towns, held a variety of elected offices. Calvin (who dropped John as a teenager) lost his mother in 1885 to tuberculosis that was complicated by injuries suffered in a horseback accident. His only sibling, a sister named Abigail, died five years later from appendicitis. Without his mother around, Calvin became a shy and somewhat withdrawn child. His father sent him to a boarding school, where Coolidge had a hard time making friends at first. Slowly, he came out of his shell and became a leader at his school. Speech and debate proved to be his specialties. Coolidge would go on to study at Amherst. There he would meet two lifelong friends, and political allies, Dwight Morrow and Harlan Stone. After graduating Amherst, Coolidge studied law as an apprentice in Northampton, Massachusetts. And in 1898, Coolidge won a seat on the Northampton city council, kicking off a career in politics. For a man who appeared to be very quiet and withdrawn, it would seem unlikely that Coolidge could propel himself into the highest office in the country. But, as Greenberg demonstrates, Coolidge was extraordinarily shrewd in grabbing opportunities to move up the political ladder, as well as presenting himself as a man who could be a leader. By 1911, Coolidge had been elected to the Massachusetts State Senate. And in 1913, Coolidge became the President of the State Senate. From this position, Coolidge positioned himself with key Republican leaders in Massachusetts, some of whom would be key financiers in his campaigns for higher office. In 1915, Coolidge was elected to his first of three one-year terms as lieutenant governor of Massachusetts. And in 1918, Coolidge reached what many thought would be the highest position a man like him could hope to obtain, governor of Massachusetts. Coolidge’s term as governor was marked by reducing government spending and streamlining the bureaucracy of Massachusetts. But, Coolidge might have faded into obscurity if the police officers of Boston had not gone on strike in 1919. This strike was no ordinary strike. Nearly the entire force walked off the job, leaving the streets of Boston open for roving gangs of thieves and looters. Coolidge made sure the newspapers saw this telegram. 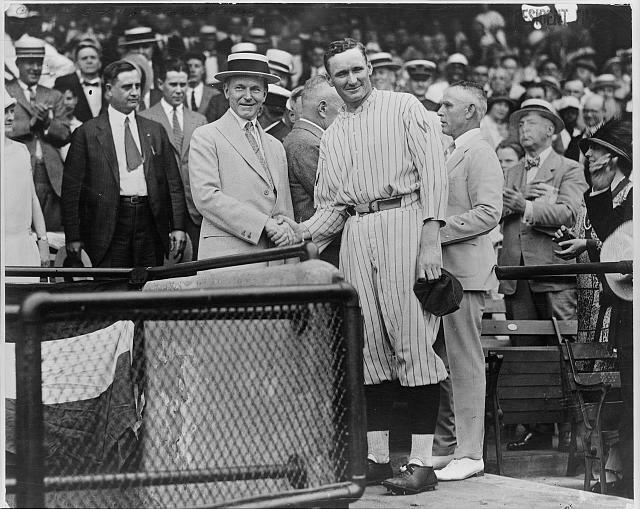 And the public lauded Coolidge for his tough stance on the strike, and his visibility on the national stage increased. The Republicans put him on the ticket in 1920 as Vice President with Warren Harding. Once Coolidge assumed the Vice Presidency, Harding had little use for him. Coolidge was rarely consulted on policy, and Coolidge spent much of his time trying to keep busy. Being shut out of Harding’s scandal-ridden White House turned out to be a good thing for Coolidge. When Harding passed away in August of 1923, Coolidge was able to assume the Presidency without any of the baggage from the numerous scandals that were about to come to light. No one was sure what to make of the new President. Some thought he would be a lightweight compared to Harding (and Harding was about as lightweight as Presidents come). But, Coolidge surprised people with his quiet and seemingly honest and forthright style. Coolidge quickly appeared everywhere in the press. He held press conferences twice a week for nearly his entire Administration. He would appear in a photo with just about anyone. And he would wear anything photographers asked. (This link is to a particularly rare one.) He was the ideal man for that moment in history. And what was happening during this time in America? Foremost, the country was prosperous. Wages were increasing. Productivity was up. People could buy and spend freely it seemed. The U.S. economy, bolstered by booming industries in automobiles and radios, looked to be in great shape. Coolidge, advised by Secretary of Treasury Andrew Mellon, proposed a hefty tax cut, eliminating many surtaxes on the highest income brackets. These had been put in place to help the economy during World War I. But in peacetime, Coolidge and Mellon though that stimulating the economy with tax cuts would ultimately help out all income levels. Congressional opposition kept Coolidge from getting all that he wanted in the tax bill, but there was enough left to satisfy him. And, according to Greenberg, left America with an economic model that would be adopted 57 years down the road by Ronald Reagan. In 1924, Coolidge decided to run for President in his own right. This might have been a daunting task. 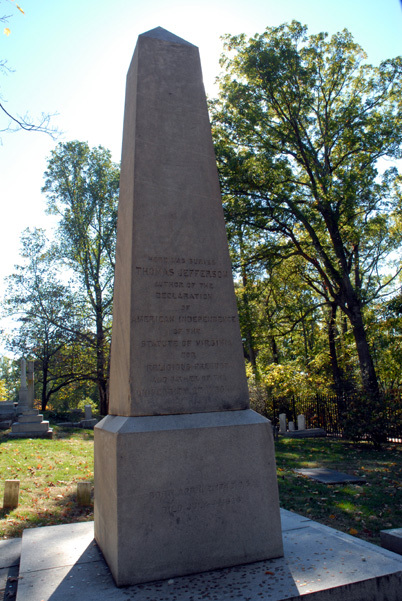 No Vice President, with the exception of Theodore Roosevelt, who had assumed the Presidency after a death had been elected in his own right. And Coolidge was no Teddy Roosevelt. But, Coolidge was no political innocent. His three principal opponents on the Republican side all were removed in expert ways. Pennsylvania governor Gifford Pinchot, one of Roosevelt’s last disciples to hold a high office, was asked by Coolidge to help mediate a strike among coal miners in his state, but he had to follow White House directions, effectively taking Pinchot out of the race. The third Republican opponent was Wisconsin senator Robert La Follette, a Progressive. La Follette’s Progressive movement was shut out of decision making at the White House, and Coolidge’s people controlled the party regulars, who were needed to have any chance of gaining the nomination. La Follette would run as a third party candidate. The Democrats provided even less opposition to Coolidge than his own party. With the resurgence of the Ku Klux Klan throughout the nation, the Democrats found themselves being identified as the party of the Klan because of their strength in the South. The Democrats took 103 ballots and 10 days before coming up with a nominee in 1924, as the party split over support for the Klan. It was a New York lawyer (although born in West Virginia) named John W. Davis who got the nomination. Coolidge, like Harding in 1920, won the election in a landslide. The Democrats won only in the states of the Confederacy, plus Oklahoma. Coolidge won 54.4% of the vote and Davis won only 28.8% of the popular vote, the lowest percentage for a Democratic nominee ever. Third party candidate La Follette won 16% of the vote and carried his home state of Wisconsin. This means that either: 1) Coolidge truly had a pro-business agenda, 2) Coolidge’s idealism was about business’s ability to improve the nation, 3) Coolidge was just trying to sound smart or profound, 4) it was all an act. It was likely all four. Coolidge’s election energized the stock markets. Millions of people who had never invested before turned to the stock market with the hope of quick riches. Real estate prices soared in some markets, especially in Florida. Few people believed that there would be any end in sight to this prosperity. While the economy soared, America was faced with numerous internal conflicts. Women, now with the right to vote, were starting to assert their independence and sexuality during this time. Civil rights remained an issue that had to be confronted. American literature, music, and art were all undergoing rapid changes. Over in Europe, the situation was not as rosy. Nearly every European country had built up huge debts that they owed to the United States. Germany was also trying to pay off reparations as well. Germany ended up facing a hyperinflation scare where, at one time, one U.S. dollar was worth 4.2 TRILLION marks. Coolidge, while trying to maintain an isolationist stance, did encourage some international agreements that were supposed to alleviate the debt problem, as well as reduce the chance of another world war. But, not much more was produced other than toothless agreements such as the Kellogg-Briand Pact, which was supposed to prohibit the use of war as an instrument of national policy. Its effectiveness proved to be limited, to put it kindly. Although Coolidge did not wish to get involved in European matters, he had a different view toward Latin America. Coolidge and Morrow had to work hard behind the scenes to prop up the Mexican government of Alvaro Obregon. When Obregon was replaced by Plutarco Elias Calles in 1923, more problems followed, as Calles moved to nationalize businesses and the holdings of the Catholic Church. Then in 1926, Coolidge ran into a problem in Nicaragua when he withdrew Marines who had been supporting the government there. With the Marines gone, civil war broke out in Nicaragua. And Coolidge had to send the Marines back. Coolidge’s friend, Dwight Morrow, was able to negotiate a solution to the problem in Mexico. However, the problems of Nicaragua would be a thorn in the side of American presidents for the next 60 years. In 1928, when Coolidge addressed the Pan-American Congress in Havana, he spoke of the region’s shared goals. But, Coolidge found few friends. The Pan-American Congress almost adopted a resolution condemning the U.S. for intervening in the affairs of other countries in the region. 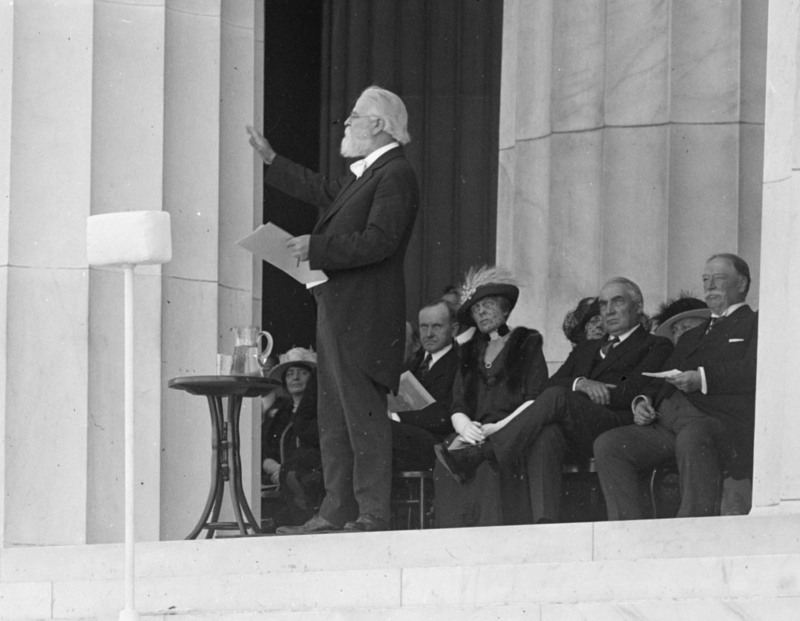 At the last minute, American delegate Charles Evans Hughes was able to get the resolutuion withdrawn. In August of 1927, Coolidge famously announced his intention not to run for a second full term in 1928 by handing reporters small slips of paper that read, “I do not choose to run for president in 1928.” Coolidge had felt that he had done enough as President and had little to gain by running for another term. Also, Coolidge had still never recovered psychologically from the death of his son, Calvin Jr., in 1924 from an infected blister. And so, Coolidge departed the White House in March of 1929. His Secretary of Commerce, Herbert Hoover, took over. And, as most of us know, the stock markets crashed a few months after Hoover was sworn in. And soon after that, the Great Depression began. The economic hard times made people look back at Coolidge and wonder if he was responsible for the calamity. According to Greenberg, the difficult in assessing Coolidge is that he is evaluated by people who knew what the problems with the U.S. economy were. But, few people from 1923 through 1928 foresaw those problems. (Some people did, but no one who was in a policy making position did.) Coolidge ran the country according to a political philosophy that got him from a job as a city councilman in Northampton, Massachusetts, all the way to the White House. Franklin Roosevelt’s New Deal would make Coolidge’s laissez faire policies seem almost quaint. But, they would be revived in 1980 when Ronald Reagan was elected. And another Republican who knew how to manipulate his public image and get his programs through Congress would return to the White House. Other stuff: Calvin Coolidge’s birthplace in Plymouth is an historic site operated by the State of Vermont. The Calvin Coolidge Presidential Library and Museum is in Northampton, Massachusetts. It is not operated by the National Archives, but rather by the Forbes Library, which is a public library established by Judge Charles E. Forbes in 1894. Coolidge’s Vice President, Charles Dawes, began his term with a speech excoriating the Senate for having obsolete rules. Early in 1925, Coolidge faced a contentious nomination for his Attorney General candidate, Charles Warren. It appeared that the Senate was going to tie 40-40 on the nomination (ties don’t go to the nominee). 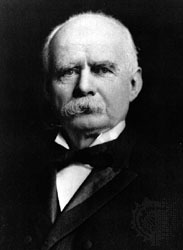 Dawes, as President of the Senate, could have cast the deciding vote in favor of Sargent. However, when the vote came up, Dawes was taking a nap back at his hotel. The Senate voted without him present and rejected the nomination. Coolidge rarely spoke to Dawes again after that.